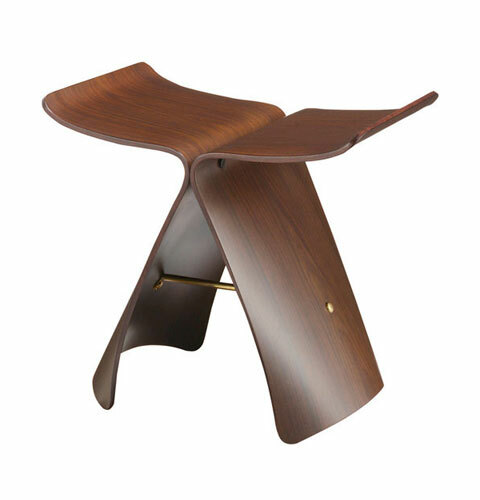 The Butterfly Stool is a magnificent work of art, depicting the gently curved silhouette of the wings of a butterfly, or a glimpse of a whale diving back into the ocean. 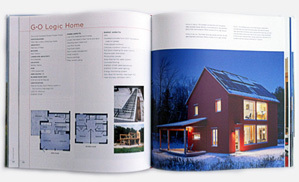 Either way, there’s no denying its elegant form and Japanese aesthetic, combined with creativity of thought. 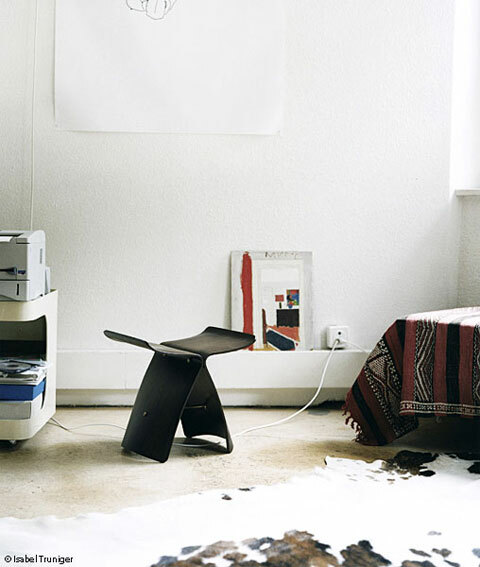 Designed by the fabulous Sori Yanagi for Vitra, the one-of-a-kind Butterfly stool is unmistakably Japanese. 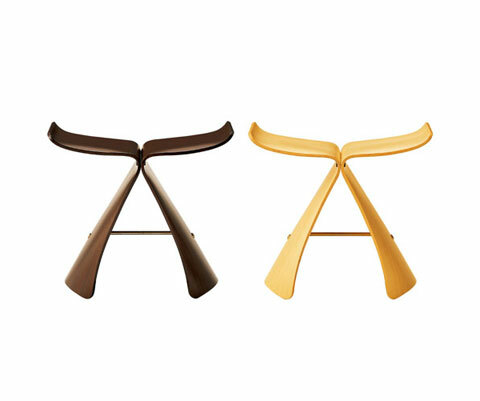 The Butterfly stool features a natural flowing form, created by two inverted L-shaped pieces of lacquered rosewood plywood braced together by brass fixings. 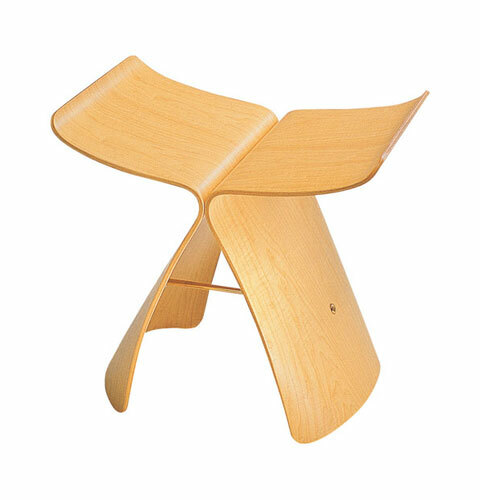 Originally created in 1954, it blends Eastern shapes with the bending and shaping plywood technique developed by the famous duo Charles and Ray Eames. Available in Maple and Rosewood. Size: 15.25″ H x 16.5″ W x 12.25″ D; Seat Height: 14.75″ H.